At its annual delegates conference this week, UNISON, Britain's largest labor union, voted to impose sanctions on Israeli companies, including boycotting manufactured products, cutting ties with businesses and ending investments in Israeli pension funds as a response to the continued occupation of the West Bank. 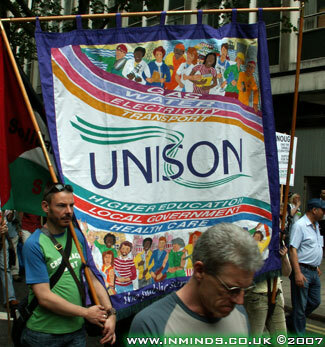 UNISON has approximately 1.6 million members. While the motion is more of a statement than actual UNISON policy, the resolution, unlike past measures, doesn't just call for a boycott of Israeli goods but includes cultural, academic and sporting activities, as well as calls for the UK and the European Union to end trade agreements with Israel and a suggestion to develop closer relations with the Palestine Solidarity Campaign. The boycott of manufactured goods will be an "economic and psychological blow for Israeli manufacturers," Uriel Lynn, president of the Federation of Israeli Chambers of Commerce, said on Thursday. He added that he was surprised the Foreign Ministry hadn't done anything to try to stop the boycott. Ofer Eini, chairman of the Histadrut Labor Federation sent a letter to Dave Prentis, his UNISON counterpart, earlier this month in an attempt to prevent the resolution's passage. "Despite the aggression of the Palestinians and their desire to spill Jewish blood, it never occurred to me to impose a boycott on Palestinian workers or employers," Eini wrote. 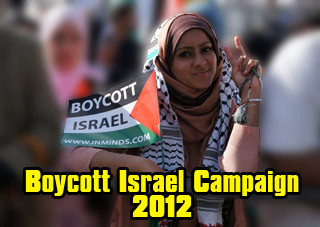 "The boycott against Israel will only cause the situation to deteriorate further." Over the past three weeks, ever since UNISON announced it would vote on the boycott proposal, Eini has held meetings with representatives from UNISON as well as with labor leaders from France, Italy and Germany. 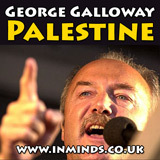 However, he was unsuccessful in his attempt to prevent UNISON from moving to break economic ties with Israel. "The intention of the British labor union to boycott Israeli companies and goods shows that they are ignoring reality, and it represents a great paradox," said Lynn. "Here they are, due to their noble principles, attacking us and criticizing us, while the president of Iran is threatening to wipe us off the map." Lynn is hopeful that the British trade office will come out against the intentions of UNISON, noting that over the past five years, trade and investments between the UK and Israel have risen sharply. "This boycott is scandalous and completely one-sided in favor of the Palestinians," he said. According to Foreign Ministry spokesman Mark Regev, boycotts such as these aren't helpful to anyone. "These boycotts don't help the Palestinians, the Israelis or peace," he said, adding that such boycotts have been condemned across the board from a variety of political viewpoints. "One has to wonder about the motivations of people who choose to single out the Jewish State for special discriminatory action," he said. Regev said the Foreign Ministry was very involved in the issue and had been engaging with the British government to try to stop the boycott. Not all of UNISON's leadership however, is convinced that a boycott is a good idea. "We understand the desperation which has driven Palestinian trade unions and some other civil-society organizations to call for a boycott, but we do not believe it will help," said Alison Brown, of UNISON's Yorkshire Ambulance branch and an incoming member of its national executive board. "Much better than a boycott is a positive labor-movement campaign of solidarity with the Palestinians, with the Israeli peace movement and workers on both sides," she said. Earlier this week, Lynn and two regional directors of the Federation of Israeli Chambers of Commerce sent a letter to UNISON's president, Malcolm Cantello, urging him to put a halt to the boycott, saying, "Since its inception, Israel has been a democratic nation with the primary goal of establishing peace and ending terror." The motion to proceed with the boycott passed by a show of hands, with approximately two-thirds of the 2,000 delegates in attendance voting in favor, according to Mary McGuire, a spokeswoman for the union. We Palestinian and Jewish citizens of Israel strongly support the proposal for UNISON to implement an economic and cultural boycott of Israel. We commend this proposal, especially in the wake of the historic decision by the University and College Union in Britain and similar proposals by the Architects for Peace and Justice in Palestine and the Congress of South African Trade Unions. Actions such as these have an immediate impact within Israel. They receive wide coverage in the mainstream media and provide an extremely effective tool in our joint struggle to bring the occupation to a just end. We are Israeli citizens active against our country's occupation of Palestine. We refuse to accept the state of poverty, unemployment, oppression and violence from which our Palestinian brothers and sisters are suffering in the OPT. We stress the connections between the violent oppression of the Palestinians in the OPT, and the oppression of the working poor, women, immigrant workers, the unemployed, Arabs, and other minority groups within Israel. The ongoing conflict in the region prevents Israeli workers from effectively mobilizing against neo-liberal reforms and an accelerated process of privatization, under the guise of an ongoing state of emergency in which national security always take precedence over sectarian needs. It is now evident that the so-called disengagement from the Gaza Strip in August 2005 has, in fact, kept the military occupation of the strip intact. Since the implementation of the disengagement plan in August 2005, the Israeli military has killed more than 590 Palestinians in direct conflict in the Gaza Strip, including 113 children, and injured over 1,600, including 103 children. It is also evident that the current situation in Sderot is the direct consequence of Israel's continuing aggression in the Gaza Strip and the West Bank. Since the ruling of the ICJ court in Hague against the Separation Wall, and in blatant violation of that ruling, the Israeli government has accelerated construction of the Wall, leading to progressive violations of the human rights of residents of the West Bank. It also continues to build and expand settlements, including on land confiscated for the purpose of building the Wall, illegal according to international law. As citizens devoted to the promotion of peace and democracy in the region, we are especially bewildered at the international community's decision to punish the Palestinians and to withhold funds from the PA for having exercised their democratic right to elect the government of their choice. At the same time, the international community continues, through economic investments in Israel, to actively support Israel's daily violations of international law and accelerated colonization of the occupied territories. We fear the potentially irreversible damage created by Israeli and international policy, and realize that the occupation will truly end only when its cost becomes higher that its gain for Israeli society. As Israelis, we stress that divestment and boycott actions taken by individuals or organizations against the occupation are neither Anti-Semitic nor Anti-Israel. We also recognize that boycott, divestment and sanctions constitute one of the few effective methods left to civil society in the absence of intervention by governments and official policy makers. We salute UNISON for putting the proposal for boycott of Israel up for consideration, and strongly encourage others to take similar steps.